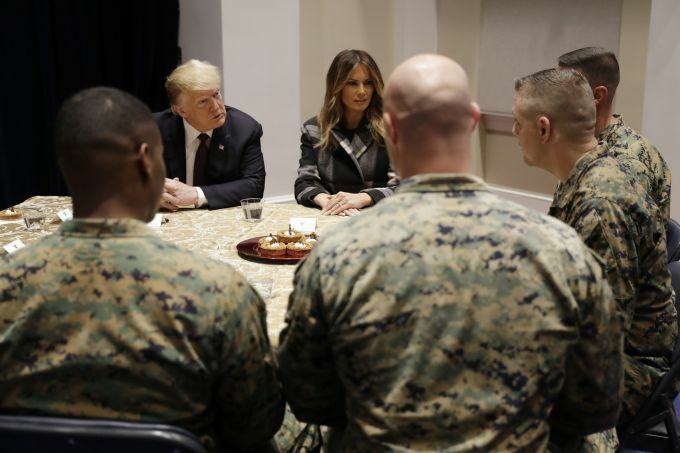 Washington: President Donald Trump and first lady Melania Trump, meet with marines during a visit to the Marine Barracks, Thursday, Nov. 15, 2018, in Washington. Trump is paying a visit to the Marine Barracks in Washington to meet with marines who responded to a recent fire at a public housing complex. 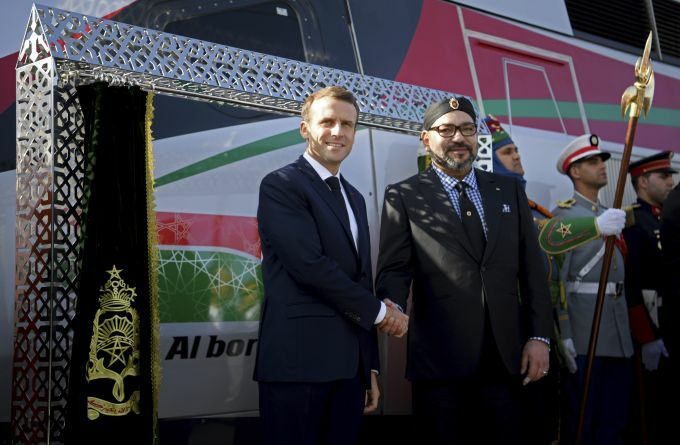 Tangiers: Moroccan King Mohammed VI shake hands with France's President Emmanuel Macron as they inaugurate a high-speed line at Tangiers train station, Morocco, Thursday, Nov. 15, 2018. Macron will visit Morocco on November 15 to take part in the inauguration of a high-speed railway line that boasts the fastest journey times in Africa or the Arab world. 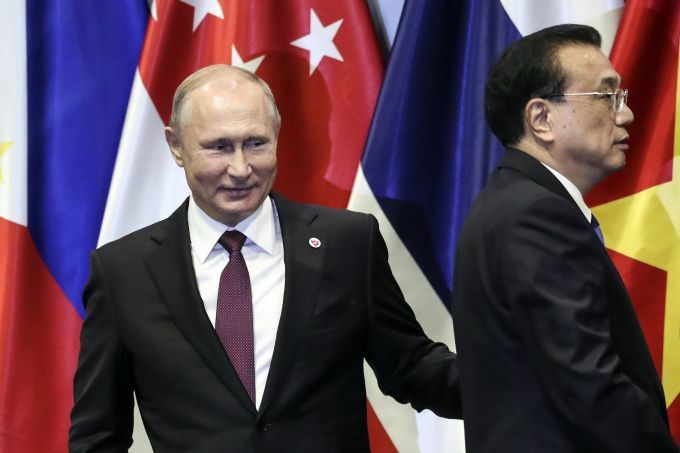 Singapore: Russian President Vladimir Putin, left, and Chinese Premier Li Keqiang interact on stage after a group photo during the 13th East Asian Summit Plenary on the sidelines of the 33rd ASEAN summit in Singapore, Thursday, Nov. 15, 2018. 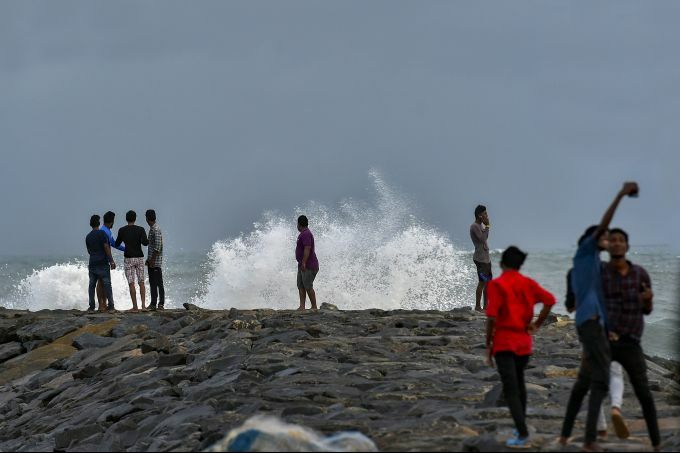 Chennai: People at Kasimedu beach before the arrival of cyclone 'Gaja', in Chennai, on Thursday, Nov. 15, 2018. 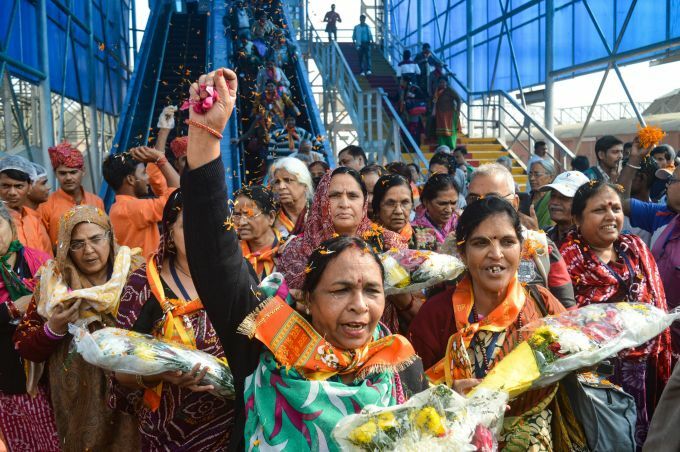 Cyclone 'Gaja' intensified into a severe cyclonic storm and is expected to cross the south Tamil Nadu coast by late this evening or night, with the government machinery put on high alert in vulnerable districts..
Faizabad: Passengers arrive at Faizabad Railway Station by Ramayana Express after it was flagged off from Delhi yesterday, in Faizabad, Thursday, Nov. 15, 2018. 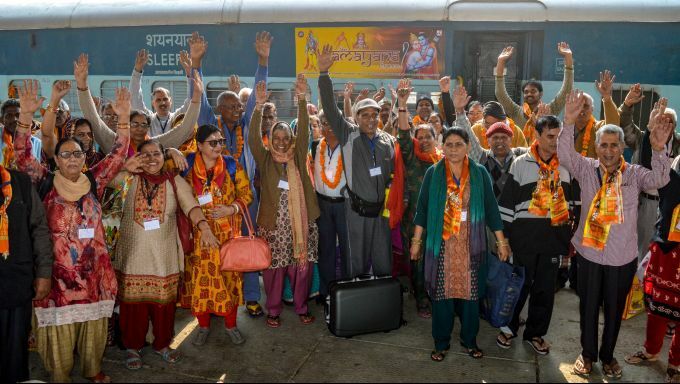 Faizabad: Passengers pose for photos on arriving at Faizabad Railway Station by Ramayana Express after it was flagged off from Delhi yesterday, in Faizabad, Thursday, Nov. 15, 2018.